I’m sitting here pondering the three books that currently make up Lily’s Paranormal Detectives Series (a 4th is coming early next year!) and for the first time since Harry Potter a third book in a series is my favorite. Well for now because I don’t know what the forth book will bring. This installment was fast paced and action packed. I really enjoyed reading this paranormal /horror /action /romance mix. If this book was on a menu it would read: Flash back entree, Demon action main with a side dish of psychic powers and newly turned vampire and a large serve of Inter-species romance for desert. I was excited at the end of Miranda’s Rights to see how Leander’s character played out in this book and I was not disappointed. I was drawn to Leander in Miranda’s Rights. I was intrigued by his darkness and mystery. The whole time I was reading Life Sentence I had to remind myself he was the “bad guy” and I shouldn’t like him, but meh, I dug his self-righteousness and self-imposed darkness – oh dear, moving right along. 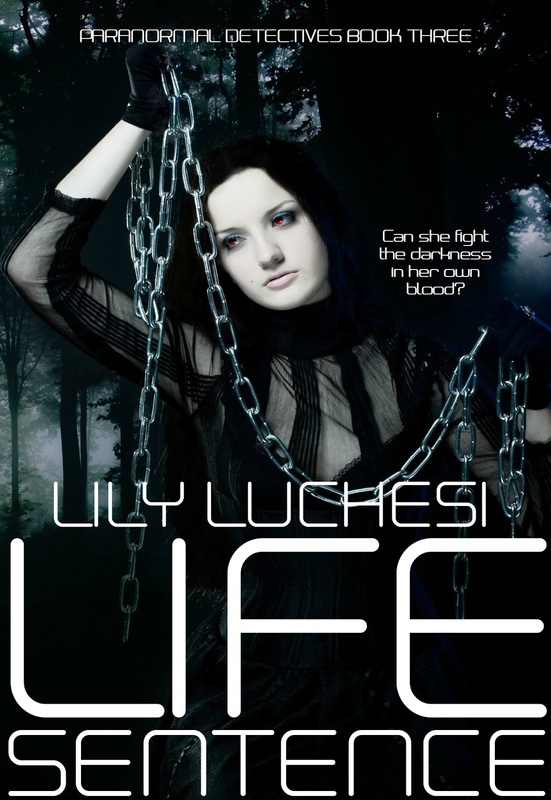 This entry was posted in Book Reviews: ALL, Default and tagged action, arc review, book review, horror, Life Sentence, Life Sentence by Lily Luchesi, Lily Luchesi, mystery, Paranormal, Paranormal Detectives, Release Day Blitz, review, romance, Vampire, Vampires, Vamptasy Publishing by Sarah "SacaKat" Fairbairn. Bookmark the permalink.